"When thinking about technology and society there is a natural tendency to look forwards rather than backwards. Like in many other areas of life, it is often more compelling to anticipate what is about to happen with technology than attempt to make sense of what has already happened." 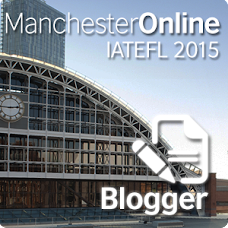 Following on from part one of my reflections in my tenth year of blogging, here are ten observations about blogging in ELT. The last post concentrated on some of my recollections from the time when I started blogging. This post is about conclusions I've come to about blogging with English language students. Back in 2005, I remember telling someone that I was facilitating a 6-week online course on blogging for ELT, and he was surprised that anyone could spend so much time just on blogging, but, there's a lot to blogging with learners, and unless you think carefully about it, then your blogging project is not likely to be very successful. 1. Starting is easy. Starting a blogging project with learners is easy to do, so long as you're careful not to overstretch yourself. If you don't have much time or experience, then set up a class blog (see Blogging for ELT for an explanation of types of blogs), but you should understand that this won't be as effective for encouraging learners to write than individual learner blogs. If your learners each have blogs, then you'll be busier, though. A good compromise is to divide your learners into groups of three or four and set up a blog for each group. This is particularly valuable if your focus is on process writing (see 2 below). 2. Think it through. 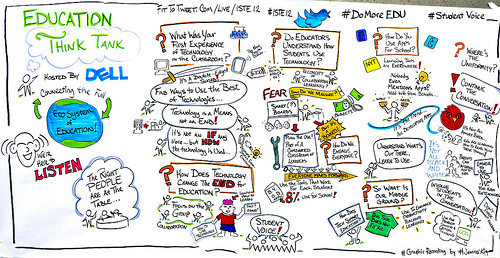 Why have you decided to encourage your learners to blog? Blogging can be a very effective way of encouraging process writing, and for giving learners a real reason for writing (i.e. if they perceive their written work is being read by an audience beyond the teacher). If you're interested in encouraging process writing, then make sure your learners are engaged in this; that they use the blog for pre-writing, focusing ideas, and are involved in evaluating, structuring and editing. In this case, encouraging peer correction and editing may be the way forward. If you're main concern is to motivate learners to write with an audience, then make sure you can show them the blog is being read (see 4 below). 3. Think carefully about who has access. Blogs work best when they are public if your aim is increased motivation to write. Why publish something online unless people can read it? If your idea is to motivate learners to write by giving them an audience for their written work, then don't make the blogs private. You may, however, have other reasons for asking your learners to blog - it could be your circumstances mean that you want to encourage learners to write between classes and a blog will facilitate this and let you comment on what the learners have written before they come to class again. However, if the other learners don't read what their classmates have written, then this may be easier to accomplish using email. Of course, keeping a blog means the learners will have a record of all their written work in one place. 4. Find an audience. If your aim is to encourage writing through publication, then make sure you find an audience for your learners. This audience could be the learners themselves, another class or classes, parents, supportive colleagues, or a combination of these. If the learners feel that nobody is reading their writing, then blogging won't work - it'll be the same as them feeling the only audience they have for what they write is the teacher, and the only reason for the teacher reading this is for language correction. This is the surest way to ensure a public blogging project fails. 5. Show the audience. Finding an audience is one thing, but you need to show learners they are being read too. You can do this in different ways, but a counter on the blog is important - I have for years liked the ClustrMaps visitor counter because it displays numbers of visitors and shows you where in the world the visitors live. Commenting on blog posts is another way of showing learners they are being read by someone. Commenting is such an integral part of blogging, it should be encouraged right from the beginning of the blogging project. I always ask learners I start blogs with to write an introductory post and then comment on the posts of their classmates. Not only does it give fast finishers something else to do, but it encourages a practice that will help nurture the class blogging community. 6. Blog integration. If you're using blogs with classes, make sure you integrate them into whatever else you are doing in class. Make sure the subjects you ask learners to write about tie in with what you are doing in class and that they are relevant to the learners's lives and interests. Talking about what learners have written at the beginning of class, for instance, is a great way of rewarding learners who are putting a lot of effort into blogging, especially if the blogging is a voluntary part of the class. 7. Voluntary or compulsory? There are some teachers I know who are set against making blogging a compulsory part of the class. Then there are others who think their learners wouldn't blog unless it was compulsory. I have tried both methods and have succeeded and failed with both. If blogging is voluntary, then it needs to be encouraged and the learners who blog should be rewarded (see 6 above) in class. If compulsory, then make the tasks you set interesting for the learners so they aren't turned off writing, especially if one of your reasons for blogging in the first place is to encourage the learners to write, and to start to enjoy writing! So many learners I have taught have a negative attitude to writing caused (I think) by tasks previous teachers have set them, and yet I have found they can grow to enjoy writing if the kind of writing you do in class and the subjects you set (or, even better, the learners choose) is varied and interesting. 8. Speed is of essence. Make sure you respond quickly to learners when they write, especially when they start blogging. Write the same day if possible, or the day after if not. There's nothing worse than writing a blog post if you're starting out and then not getting any comments - it makes you feel there's nobody out there reading (see 5 above) and then learners will start asking themselves 'Why bother writing if nobody's reading?' To help you find out when a learner has written something, to enable you to respond, subscribe to all of your learners' blogs or use Google Reader or another similar tool. This will save you a lot of time, as it means you don't have to keep checking individual blogs to see if anyone has written anything. 9. Keeping going is harder. Keeping interest, in my experience, is the hardest thing to do with a blogging project. From the beginning, set a time limit and a goal for the learners. Tell them, for example, that you're going to be blogging for a term, and then at the end of the term, review this. did they enjoy it? Was it useful? do they want to continue? Make sure you have given them enough time to be able to reflect whether blogging is something they are interested in or not. Make sure too, that they have written frequently in their blogs. Once a week or more for learners is good practice. Make sure too, that you have responded as mentioned above. I have to say that the times I've undertaken blogging projects with classes and have followed the advice written above, the projects have been successful. I have done other blogging projects with classes that haven't been successful, and it's usually been because I haven't been able to show an audience, or haven't asked the learners to blog frequently, or didn't connect the blogging to what we were doing in class. 10. Be a blogger yourself. Don't ask learners to blog if you don't already blog. Keeping a blog and writing to it regularly before you ask learners to do the same will give you an idea of how it feels to do this, and you'll also have a better idea if it's something you're happy to ask learners to do too. If you can't keep it up, then how can you expect your learners to do so? So that's it. I hope you find these suggestions useful, and please let me know if you agree/disagree with any of the points mentioned above, or indeed, if I've missed out anything important. Is this a golden age of innovation? It's great these conversations are taking place, and I do think we are now in the middle of a shift that seems to be happening from both the top-down and bottom-up in education. Thinking back to when I started this blog, I remember wondering why there weren't that many educators embracing new media and other exciting developments taking place online. Things have definitely changed, though - as the Think Tank infographic above has captured, there's no longer any more debates on 'if' technology should be used. Now the questions being asked are 'how?' and 'when?'. It's also great to see so many educators from around the world getting involved, and not only using technology in their classes, but documenting what they are doing, and sharing it with other teachers. The technological innovators though are still in a minority, and I know from conversations I have with people online and at conferences, many teachers and teacher-trainers find it hard-going persuading some of their colleagues of the need for change. Still, the change is happening, however slowly it may be taking place in some schools. Just realised, thanks to Vicky Loras celebrating her third year blogging that I've now started my tenth year as a blogger, and my tenth year using this blog for blogging. 1. My introduction to blogging. My good friend, David White, who's not a teacher , introduced me to Blogger, thinking it was something I'd be interested in, and I set one up early in 2003, but I didn't see the point of it then, so after creating a blog and posting once, I abandoned this. I'd love to recover the account and see what I wrote then, but I now can't remember what email I used to set it up. 2. Blogging with students. 9th July, 2003. Teaching a summer course with two groups at the Young Learner Centre, British Council, Barcelona, I'd asked for regular computer room slots as I was keen to try out a new British Council learner community (Global Village), getting the two groups to communicate to each other. However, just before the summer course started, I was told that it wouldn't be possible to register my students for the community, and so I had to find an alternative quickly. I remembered Blogger, and so set up this blog. The first post was an example for the students, who set up their own blogs the first day of the course. I then had them write on their blogs and comment on the blogs of the other class during the course. I started using blog-efl to reflect on the class, accidentally discovering what a great tool a blog is for teacher reflection. This I continued throughout July 2003, coming home from class and spending most afternoons blogging or trying to find out what other educational bloggers had been doing. 3. Connecting with colleagues. Nik Peachey, who I'd met at International House, Barcelona, when we were both working there, and who had become webmaster for the British Council website TeachingEnglish, contacted me because he'd heard that I'd been blogging (through the online M.Ed we were both doing at that time) and had also come across a teacher in Portugal, Teresa Almeida D'Eça who was blogging with her young learners. By now, the summer course had finished, but I had become enthused with the potential of blogging and was scouring the Web, trying desperately to find other English teachers who were blogging. It quickly became apparent that there weren't that many - there weren't even that many edu-bloggers around. Teresa was one of the three ESL bloggers that I'd come across that had started blogging with their students before me. Her blog, Fun with English, was an example of a very different approach to blogging - more controlled (because of the age of the learners), but a very interesting one that was obviously motivating her students. I reviewed her blog at the end of July 2003. 4. The first ESL blogger. Teresa had started blogging because she'd read Aaron Campbell's article about 'Weblogs for use with ESL classes' (Feb 2003), which quickly became the blueprint for ESL blogging, establishing a norm for blogging with students using either a tutor blog (owned and written to only by the teacher), class blog (owned by the teacher but written to by teacher and learners) or learner blogs (individual blogs, owned by the learners). Aaron had been using a combination of these, but his New Tanuki was a great model of how to connect a Tutor blog with learner blogs. Aaron had also been blogging since early in 2002, making him (I believe) the first ESL Blogger. 5. Mystery guest. Through Teresa, I also met Barbara (Bee) Dieu from Brazil, and was introduced to the amazing Webheads community of practice, one of the major sources of my professional development ever since. Bee taught at the Franco-Brazilian school in Sao Paulo and had been blogging with her students on a class blog, Bee Online, since May 2003. I learned a lot about blogging from her and reviewed her blog in August 2003. Around this time, she invited me, and Dennis Newson to be be mystery guests on her class blog. This experience was fascinating and underlined just how motivating blogging could be for learners. 6. English for Tourism. When I started teaching again, at Turismo Sant Ignasi, I introduced the concept of blogging to my students there. Here's an example of the blog one of my students, Chiara kept. I did my best to encourage the students to blog, but we did this for one term only, and the students did not blog much. I was learning about blogging with students, though. One of the problems was trying to do too much. In my enthusiasm, I'd started learner blogs with all of my students, which was just too much for me to realistically handle. I do remember though, after starting these blogs, that there was absolutely nothing on a Google search for 'tourism blog' until we'd set these up, so I can safely say that these blogs were the first blogs anyone had set up for Tourism! 7. Image blogs. I also taught ESP to students who were studying Image at Politecnico Sant Ignasi, and I started to concentrate on this. This blogging project was more successful, and I continued it from 2003-2006 with students on the Image courses. It was always a popular feature of the course, and got good feedback from students. 8. Blogging at TESOL EVO. Aaron, Bee, Sean Smith and I offered a weblogging course for ESL/EFL teachers through TESOL's Electronic Village Online in 2005. This was great fun, and it brought together not only all of the most prominent ESL/EFL bloggers, but also the leading lights in educational blogging, such as Will Richardson and James Farmer, who started Edublogs around this time. 9. Writing about blogging. 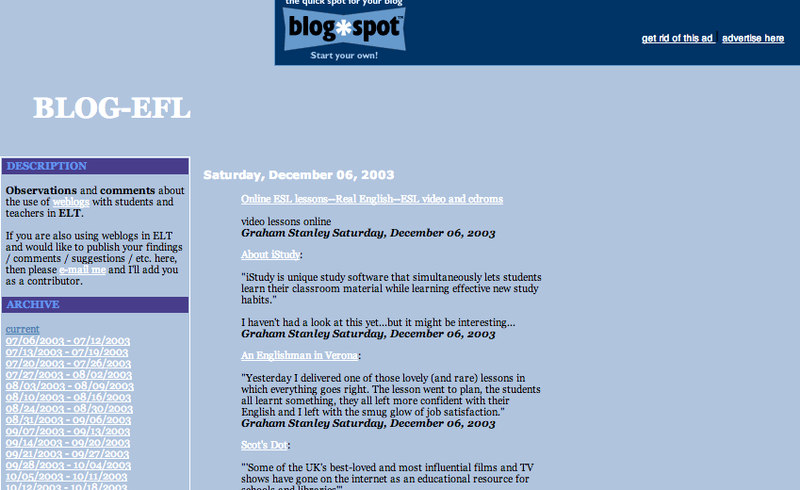 I wrote an article on blogging for EFL for the British Council's Teaching English website in 2005, and then followed this up with a book chapter a year later: 'Redefining the Blog: From composition class to flexible learning' (in Hanson-Smith, Elizabeth, and Sarah Rilling (Eds.). Learning languages through technology Alexandria, Virginia, USA: TESOL. pp. 187-200. 10. Podcasting. In 2005, I became interested in podcasting, and became one of the first EFL teachers to create a podcast. A year after I'd started blogging, most of my professional development and work with learners and educational technology was concentrated on audio blogging and podcasting, but that is another story, for another time.